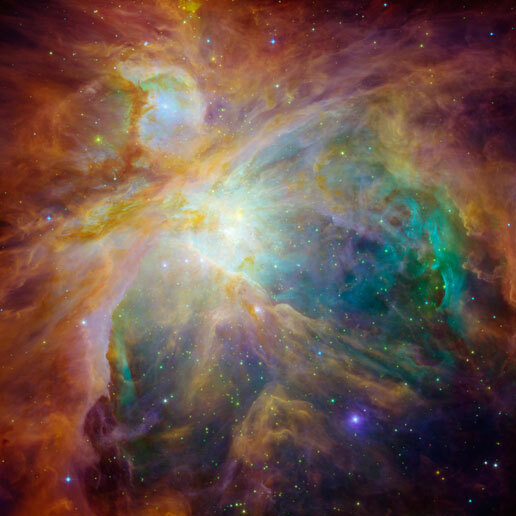 NASA calls this image Chaos in the Heart of Orion. I call it beautiful. To learn more about this image, visit NASAs Image of the Day Gallery. Is Easter a distant memory? For most evangelicals, I suspect it is. In the more liturgical churches, however, today marks the end of the Easter season. And here you thought it ended with Easter when anything you gave up for lent was now fair game! Pentecost represents the day the Church was born. The Holy Spirit fell, as flames or tongues of fire settling on each person, filling them with the Holy Spirit and empowering them to witness for Christ in a way that would have been unimaginable just a few moments before. Pentecost is a day in which the presence of God became a part of believers’ lives in a new and dynamic way. May it be so, today, Lord. Let Your fire fall upon Your Church. As your Church was born on this day more than two thousand years ago, let it be reborn today to greater reflect Your love to our dying world. Break down walls of division. Ignite passion for You and for the lost. Embolden us to live – live – in radical obedience to the only One worthy of our full allegiance. 16For the Lord himself will come down from heaven with a commanding shout, with the call of the archangel, and with the trumpet call of God. First, all the Christians who have died will rise from their graves. 17Then, together with them, we who are still alive and remain on the earth will be caught up in the clouds to meet the Lord in the air and remain with him forever. My message for Resurrection Sunday tomorrow is titled “Follow the Leader.” Because He has risen, we will one day rise, too. It got me thinking about Chris Tomlin’s song “I Will Rise.” I found this YouTube video with a woman singing the song in ASL – American Sign Language – a language of the deaf. While I’m not proficient in it, I love to worship in sign language. I watched as the signer/singer signed along with the song enjoying the variation she used to express the meaning of the words, phrases and song. I was enjoying it…but was totally unprepared for the impact it had when she sang the last line – totally unexpectedly, I broke into tears! The way she signed “I will rise” at the very end of the song literally shows her/me/you rising to meet the One she has been singing to and about all along – and the sign she uses when her fingers meet means “together” with the body language that powerfully communicated “together forever.” After spending the afternoon immersed in 1 Thessalonians 4 (and 1 Corinthians 15 – great passage! ), the singing of the song in sign had a powerful impact. I’m guessing that you don’t need to spend the next four hours in 1 Thessalonians and 1 Corinthians to be impacted, too. Check out the video and be blessed. Because He has risen, we will one day rise too. Hallelujah! And just for fun…here’s the same song signed a bit more expressively. I love the variation. May you know His resurrection power. Have a blessed Easter. I love the story of Noah, the Ark and the Flood. Reading it yesterday, I found something I’ve never seen before. But we’ll get to that. First a reminder of some things I am blessed by every time I read it. 13On that very day Noah and his sons, Shem, Ham and Japheth, together with his wife and the wives of his three sons, entered the ark…15Pairs of all creatures that have the breath of life in them came to Noah and entered the ark. 16The animals going in were male and female of every living thing, as God had commanded Noah. Then the LORD shut him in. God shut them in before the storm waged around them. God shut them in. I love that feeling of protection and care I get every time I read verse 16. But God remembered Noah and all the animals in the boat. He sent a wind to blow across the waters, and the floods began to disappear. I blogged about these first two points more extensively here. 20Then Noah built an altar to the LORD and, taking some of all the clean animals and clean birds, he sacrificed burnt offerings on it. The first thing that Noah did upon disembarking from the boat that he had spent the last ten and a half months on was worship God. What a powerful example to us. I can imagine how Noah wanted to run and play on hard ground, how he wanted to bask in the sunshine and fresh breeze, how he wanted to roam in open spaces. But first, he worshiped. Lord, help me to worship first. What also impresses me about this simple verse is that Noah had animals to sacrifice after being at sea for so long. They were among the animals in the ark – when God told Noah what to take in the ark, He included not only all that would be needed to repopulate the world, but also all that would be needed to worship Him! I can trust that when I follow God’s directions, He will provide not only what I need (Noah had what was needed to live for nearly a year in the boat), but will also provide what is needed to accomplish His purposes (in this case, repopulate the world) and enough to worship Him. Now it sounds like I’m putting the worship of God last here. I’m not. Knowing this, I can put worship first and trust that God has already provided enough to meet my needs and accomplish His purposes. I blogged about this aspect of the story here. Where Did the Olive Branch Come From? 10Seven days later, Noah released the dove again. 11This time, toward evening, the bird returned to him with a fresh olive leaf in its beak. It never occurred to me before that in order for the dove to return to Noah with the olive branch in its mouth, the Lord must have already repopulated the earth with vegetation. God not only sent the flood, after the flood receded, he reseeded the land and caused the plants to grow in about a week. Maybe a few days more. Wow! What a God we serve! I suppose it’s a little thing, because He had already formed all of creation in a week, but this miracle reminds me that God does things right! He goes above and beyond our expectations. He deposited Noah and his family into a land that would support them while they got settled and prepared for the coming year. I like that God! My challenge for you over the next few days is to look for places where God has gone above and beyond your expectations. Because that’s just the kind of God He is! I’ve been thinking quite a bit over the past week about a blog for the end of 2011 and/or the beginning of 2012. More accurately, I’ve been thinking I need to write such a blog…and I’ve had no idea what I might write. Tonight I sat down to write a blog and it seemed to go in a different direction with each paragraph. Every paragraph was connected in my mind, but I was certain that there was little connection that actually made its way into written word. As I paused to think about it, I realized it was the blog for the end of the year! (Thank You, Lord!) It’s a blog about the themes that God has been highlighting in my life over the past year – sort of a “year in review” of the “God-whispers” (more like shouts, actually) for 2011. So here we go. Early in the year, God highlighted obedience by prompting our “Let’s be PC!” series. We haven’t exhausted the topics of obedience yet, so there may be additional installments in the series, but God was taking me back to basics. Obedience starts with the basics. As I look through my blogs over the past year, I see that obedience was a topic that came up again and again in many blogs that weren’t part of the Let’s be PC series. Lord, keep my heart inclined toward quick obedience! During the spring, God began to impress upon me the need to believe and trust Him in a greater way – to actually live in faith. I am convinced that there is an underlying peace that comes from the confidence of knowing God is in control. I’m also convinced that living in faith puts us on the cutting edge with God…and I like that! I’m not always living it, but I’m sure working toward that goal. Lord remind me of Your power and presence throughout every day. As spring turned to summer, God’s theme was praise – awesome, constant and glorious praise of the King of Kings and Lord of Lords! I enjoyed it! In retrospect, we had an extremely busy summer with work and ministry. I know I was exhausted when it was over and I only went to the beach once. Yet what I remember most were the Friday Night Praises we planned and the singing of His praises throughout the week. Lord, You are worthy of our Praise! Hallelujah – Praise the Lord! That praise theme turned into a theme of thanksgiving as we moved into the fall season. A blog I wrote three weeks ago haunts me. In The High Cost of Not Giving Thanks I quoted Romans 1:21. Yes, they knew God, but they wouldn’t worship him as God or even give him thanks. And they began to think up foolish ideas of what God was like. The result was that their minds became dark and confused. I wrote in that blog that there is a direct connection between an ungrateful heart and a spiritual darkness that brings confusion and leads to foolish actions. I’ve discovered that an ungrateful heart stems from a self-focus that is inconsistent with all that God wants from me. The ungrateful heart makes everything all about me. Nothing is exactly as I want it to be so I won’t be satisfied with it. I so don’t want to live my life that way. Oh, Lord, keep me from having an ungrateful heart. Which leads us to thanksgiving! Such a progression excites me…I want to be the person that lives in the continuing cycle of obedience, faith, praise and thanksgiving. Reviewing the themes also reminds me that I have so much more to learn in each area. I wonder, which of these four areas do you need to focus on? I would love to improve in all of them. I also wonder…where will God take us in 2012? What will our first theme be? How will the year progress? I don’t know yet! Here we are in that week between Christmas and New Year’s and God hasn’t’ spoken to me about a theme for 2012 yet. I have some inklings, but nothing concrete. So be in prayer with me, friends. And not just prayer – be in faith with me – that He who began a good work in you and in me will bring it to completion! Thank You, Lord! Christmas cookies…celebrations with friends…family dinners…special (once a year) foods…the dreaded or much anticipated fruit cake (depending on your perspective)…New Year toastings…Did I mention Christmas cookies? For the person who is learning to eat in a more healthy (and weight conscious) way, Christmas might also be known as the Season of Temptation. This week I have had such a longing for raisin cookies made using my great grandma’s recipe. They’re not your typical raisin cookies. Hers is a unique recipe that calls for coffee and lots of raisins and lots of flour. And my mom made them every year at Christmas. Earlier in our marriage I followed the tradition. I could make them now…but I’d eat them and my recent weight loss success would be undone. I’ve weathered two Thanksgiving dinners and one Christmas party quite well. Then I got to thinking about those raisin cookies. Then came a trip over the weekend to a market with great prices on cheese and a sampling counter. That’s when the phrase “Season of Temptation” struck me. Only one more Christmas lunch, two Christmas dinners, and one New Year’s Eve celebration. (sigh!) Oh, and the impromptu invitation to share an afternoon with friends. It’s less than a week before Christmas and it’s becoming increasingly difficult to include holiday celebrations with friends and family in my healthy eating plan each week. Of course all those traditions and celebrations center around special (i.e., high fat, high calorie) foods. And my mind is becoming increasingly willing to justify bad choices. Hey, it’s only once a year – enjoy! When do you ever get to eat these things? That family member made this just for you, you have to have another serving! One taste won’t hurt! You deserve to treat yourself after the day/week you’ve had. As I walked the aisles of the local market, I was struck by the phrase “season of temptation.” Here we are, in a season which celebrates the birth of our Savior and it has become a season of personal and societal overindulgence. How sad it must make Jesus feel sometimes! Let me be clear – I believe Christmas should be a season of celebration. It’s just that somehow it doesn’t seem that all the celebration should be so self-centered. I want to eat all those things because I want to indulge my taste buds. I’ve learned that my stomach won’t be indulged – it will just feel over-full, bloated and perhaps even a bit queasy or acidic. But my mouth will sure enjoy it while I’m eating it! With less than a week before Christmas, I suspect that you, like me, are in the midst of your season of temptation. I’m praying you’ll take a step back with me to (1) consider your situation and (2) make a plan. Let’s do it. I am encouraged when I remember that Christ understands my temptation. Scripture says that He was tempted in all things. Matthew 4:1 says that Jesus “was led by the Spirit into the desert to be tempted by the devil.” This was done on purpose, folks! It didn’t just happen that Jesus was praying and fasting for forty days and then satan tempted Him. Part of his “assignment” here on earth was to experience our temptations. He was tempted to satisfy His earthly, human appetites for food, drink, power and riches by using supernatural power. Were those powers rightfully His to use? Absolutely! He was God and never stopped being God while He lived life as a man on earth. But He voluntarily chose to suspend His supernatural powers and do only as He saw the Father doing. The second, and perhaps more important question, is “Was it part of God’s plan for Jesus to use His supernatural power to satisfy His earthly appetites at that time?” Clearly the answer is no. Jesus’ temptation was much larger than any temptation we will ever face. He was fully capable of using His supernatural power to accomplish anything at any time. Yet He chose to not satisfy His desires, but those of His Father. And His Father had bigger things in mind for Him. The same can be true of us – I am blessed because I have the power to eat most anything I want whenever I want. I have the money to buy the food and I have the capability to eat the food. The question is, is it part of God’s plan for me to use my power in that way? The answer is no, so I face a choice – obey God confident that He has bigger things in mind for me, or indulge myself. That’s my situation. You have a similar situation. I don’t know what your temptation is, but recognizing it and the true reality of it is the first thing necessary to overcoming that temptation. So I encourage you, friends, to think about what you are or will be tempted by this week…ideally before that temptation has an opportunity to take you by surprise. There’s more to my situation and yours, and we’ll learn about it as we begin to plan. In reading about Jesus’ temptation in the desert, we see that He overcame temptation by keeping His focus on the Truth and extinguishing satan’s fiery darts with Scripture. The truth is that God’s plan for me is to have a greater impact for eternity than I can imagine and my ability to walk in that calling is directly tied to my submission to His will. Each time Jesus was tempted, He chose to stay in God’s will – He refocused His mind from the earthly temptation to the greater will of God. When I remind myself of the link between my temptation and God’s will it reframes the picture. My ability to resist the temptation takes on a spiritual dynamic that has so much more power than my faltering willpower. I have overcome the world, because the One who is in me is greater than the one who is in the world. No temptation has seized me except what others have experienced. And God is faithful; He will not allow me to be tempted beyond what I can bear, but when I am tempted He will also provide a way out so that I can stand up under it. Man (or woman) does not live on cake alone, but on every word that comes from the mouth of God. And God is able to make all grace abound to me, so that in all things at all times, having all that I need, I will abound in every good work. Which type of self-talk is more likely to lead to victory over the temptation? Obviously the scriptural one. Refocus your thoughts when tempted. Let the voice of God’s Word drown out the voice of the enemy. Don’t rely only on the spiritual element to bring victory. We live and interact in the natural world. God brings supernatural power to the battle, but we are foolish if we don’t also apply natural wisdom and practices to the battle. For example, not everyone at the gathering yesterday was sitting around the table with the half-eaten cake that was tempting me. Eventually I realized my foolishness, got up from the table and visited with others gathered in the living room. The temptation to eat more of the cake vanished almost immediately! Identify the activities and events you will face in the coming week that will bring the most temptations with them. Identifying them in advance allows you to pray about them and develop a plan of attack. Our enemy has plans for attack. Let’s counter them with our own plans. Pray about those anticipated activities and events. Pray about the people who will be there. Pray for ideas about how to escape the temptation. Remember 1 Corinthians 10:13 – with the temptation, God will provide a way of escape so that you may be able to bear it. Can you avoid problematic events? Sometimes the answer is “absolutely yes.” We are not required to participate in every holiday celebration we’re invited to. We’re not required to have every minute of our schedule full – in fact, doing so makes us more vulnerable to temptation. Be sure your calendar includes time to spend with God and time to recharge your battery. Tired warriors are beaten warriors. Remove yourself from activities that feed your temptation. Are you tempted to over spend? Leave the store and/or walk away from your computer Internet shopping. Do something different! Are you tempted to feel sorry for yourself? Make a plan to serve at a homeless shelter on Christmas eve or Christmas day or invite a friend to spend the day with you. Is it possible to change the situation either by removing some element or adding a new element. For example, if you have required events that bring with them a temptation to drink to excess, bring your own beverage that sparkles with flavor – some sparkling water, juice or cider. Spend your time visiting with the sober crowd. Chew gum. Invite a family to take a walk around the block with you to escape the crowded house and catch up with what’s happening in their life. Infinitely, Exceedingly, Abundantly More…Believe It! As I read this passage this morning, it seemed the Holy Spirit whispered in my ear…“do you believe it?” Do I believe that God is able to do “immeasurably more than all I ask or imagine”? Yes, I believe He is able…I guess I just forget sometimes. Or perhaps I doubt that he wants to do those things. For me at least. Hmmm. 3Praise be to the God and Father of our Lord Jesus Christ, who has blessed us in the heavenly realms with every spiritual blessing in Christ. 4For he chose us in him before the creation of the world to be holy and blameless in his sight. In love 5he predestined us to be adopted as his sons through Jesus Christ, in accordance with his pleasure and will—6to the praise of his glorious grace, which he has freely given us in the One he loves. 7In him we have redemption through his blood, the forgiveness of sins, in accordance with the riches of God’s grace 8that he lavished on us with all wisdom and understanding. 9And he made known to us the mystery of his will according to his good pleasure, which he purposed in Christ, 10to be put into effect when the times will have reached their fulfillment—to bring all things in heaven and on earth together under one head, even Christ. Is it reasonable to believe that the God who has done all that for us (and more) is not willing to do “immeasurably more than all we ask or imagine”? I don’t think so. Painful and negative experiences shape us in ways that our joyful times cannot. Faith grows in those dark times, as does our patience, character, perseverance and humility. These are all qualities that make us more like Christ. Suffering gives us a common ground from which to minister to others who are suffering. We are sinful people living in a sinful world. Until this world is redeemed we suffer the consequences for our bad choices and the bad choices of others. I know, those may be hollow words if you are in the midst of a deep struggle. As I said, books and books have been written about the subject and I would encourage you to read one or two or three of them. Off the top of my head I’d recommend The Gift of Pain: Why We Hurt & What We Can Do About It by Dr. Paul Brand and Philip Yancey (a great writing team) or Don’t Waste Your Sorrows by Paul E. Billheimer. 20Now glory be to God! By his mighty power at work within us, he is able to accomplish infinitely more than we would ever dare to ask or hope. 21May he be given glory in the church and in Christ Jesus forever and ever through endless ages. Amen. 20Now glory be to God, who by his mighty power at work within us is able to do far more than we would ever dare to ask or even dream of—infinitely beyond our highest prayers, desires, thoughts, or hopes. 21May he be given glory forever and ever through endless ages because of his master plan of salvation for the Church through Jesus Christ. 20Now to Him who is able to do exceedingly abundantly above all that we ask or think, according to the power that works in us, 21to Him be glory in the church by Christ Jesus to all generations, forever and ever. Amen. than we would ever dare to ask or even dream of – infinitely beyond our highest prayers, desires, thoughts or hopes. Take a moment to consider some challenge you’re facing. What is the best outcome you can imagine? God can do better than that! Infinitely better! Exceedingly abundantly better! Friends, look for the goodness of God this week. Expect Him to do exceedingly more than you can ask or imagine. Because that’s just how good He is. Comments Off on Infinitely, Exceedingly, Abundantly More…Believe It! As I read that Scripture today, my mind drifted to the topic of needless worry. Even as I type the phrase, I realize that the word “needless” is…well, needless. It’s not necessary – because it is true of all worry. It’s not like some worry is needed and some is needless. All worry is needless. There is no worry that is justified. God is able. Period. He is able to guard whatever we’ve given to him. What value is worry? It doesn’t add one inch to my height (Matthew 6:27) and it doesn’t make me happy or content. More likely the weight of the worry slumps me over, gives me gray hairs and wrinkles, and fills my day with negativity. What is He able to guard? That which I have entrusted to Him. What are you worred about today? Have you entrusted it to Him? Have you cast your cares upon Him (1 Peter 5:7)? Or are you holding them in your heart…so that they leave no room for God? God’s perfect love casts out all fear (1 John 4:18)! Use that perfect love to cast your fears back upon the Lord. Do you really know God? Do you know Him well enough to be convinced that He is able? Further, do you allow that knowledge to convince you of it? Knowing something is different from being convinced of it. Being convinced of something generally requires either a testing of the knowledge we have to prove it as fact or an overwhelming stack of evidence that make the knowledge irrefutable. For about a month before accepting Jesus as my Savior, I was convinced of all of these central points except the first one! I had read enough of the Bible and enough about the Bible that I was convinced it was not a book simply written by men to tell a story we wanted to hear. It was too full of fulfilled prophecies and the realities of life for that. The evidence was stacked up so high that I could no longer deny that Scripture is valid and true. Once I was convinced of that, the points that follow were no-brainers. Since that time God has shown Himself to be real and alive and strong over and over again. Each experience I have with Him enables me to say as Job did “I know my Redeemer lives and that in the end He will stand upon the earth.” (Job 19:25) Often when this verse is quoted, the last half of that verse is left off. Let’s not do that! It is an affirmation just as Paul’s affirmation in 2 Timothy. Job knew that no matter what happened on this earth that one day his Redeemer would “win.” Paul says that he is convinced that His Redeemer is able to keep everything that he entrusts to Him – in other words, that Jesus will win over any and all that the devil throws at Him. Do you know Him well enough to know that He will hold what you have entrusted to Him? I hope so. Yet we all have times when our faith waivers. Whether you’re just getting to know Him or have known Him for years but find your faith waivering, the process of knowing God and becoming convinced of His awesome power are the same: Spend time with Him in many ways every day. Talk about Him with your friends. Frends, I challenge you to give God a chance to further convince you of His faithfulness, power and great love by entrusting your biggest concern in life to Him today. Yep, today. Stop for a moment here and consider what is the most pressing issue in your life. Now take a few moments to entrust God with that issue. Go ahead – say it out loud so that you hear yourself giving it to God. Now, rest in your confidence that He is able and begin to look forward to watching God move in that area of your life. I think I’ll close and do that myself. Let me know how it goes for you! “How many loaves of bread do you have?” [Jesus] asked. “How are we supposed to find enough food for them here in the wilderness?” his disciples asked. Can you hear their attitude? “What? Are you crazy?” That’s what I hear them thinking. Possibly, though, they’re more defeated than that. “There’s no way we can…” “We could never…” Have you ever heard those voices in your head? I have. Have you ever heard those words come out of your mouth. Uhh…yeah. Then stand back and watch the miracle! I would soon have died. and your unfailing love, O LORD, supported me. Note to Readers: Hi friends! I had promised the release of my new Bible study on the book of Jonah today. I’m afraid it’s not quite ready. I still have several permissions to obtain for quotes included in the study. I do apologize and hope to release it soon. Watch this space for More than Fish Story, God Moving on Behalf of a City and a Man. I love this passage from today’s Resting at the River’s Edge reading. Three short verses but so much to be gleaned from them. God’s unfailing love supports us when we are slipping (part 2). It props us up. It keeps us from falling. It enables us to stand. Perhaps you’ve experienced this in the natural. Perhaps there is someone in your life in whose love you are so secure that it gives you confidence to step into new areas and adventures. When you’ve committed your life to the Lord, you can be even more secure in His unfailing love. You may fail, but His love does not fail. When we cry out, his unfailing love supports us. When we’re hanging over that precipice about to slip, sometimes doubts fill our minds. “Will He really help me if I cry out?” “If I had cried out sooner, the Lord would have helped me, but will He help me now?” “I have failed so many times, why should He help me now?” “Can God really…?” “Will God really…” The answers are yes, yes, because He loves you, yes and yes! When doubts assail us, God steps in with His assurance. His Word comes to our mind and a pin prick of hope turns into a beam of light that enables us to cry out for help. The knowledge that God can and will save us is beyond comforting and changes our perspective to hope and cheer. After He has saved us the first time, we live in the experiential knowledge and reality of His salvation (eternal and temporal). His history with us brings renewed hope and cheer. I love the Lord. He heard my cry. He’ll hear yours, too. Whether it’s that first cry for salvation, or the cry for help in any situation. He will hear and He will help. His comfort will renew your hope and change your attitude from despair to joy. Have a blessed week friends!